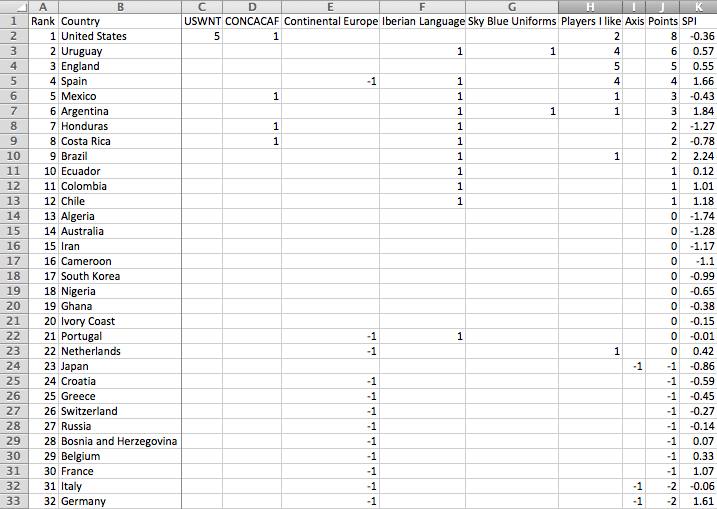 For a reminder, I did a ranking of who my favorite teams were by spreadsheet. This is difficult because Uruguay has lost probably my favorite player, in terms of maximum entertainment value, do to his antics, but continues to have Diego Forlán, so I think I’m going to leave them at #2 and not readjust everything. Also I’m lazy.